> Adobe > Brilliant Advertising. 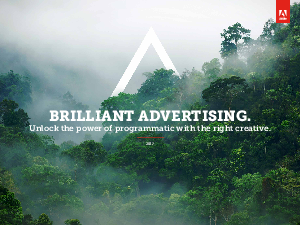 Unlock the power of programmatic with the right creative. Programmatic advertising is full of complex patterns. Very similar to patterns in nature. Our guide, Brilliant Advertising, shows how fractals in nature perfectly describe the complexity of programmatic ads and pave the way for how you should approach creative assets.